I’m pleased to announce that bookings are now open for IWMW 2012, the sixteenth annual Institutional Web Management Workshop. This year’s event will be held at the University of Edinburgh on 18-20 June. We have reverted back to the three-day format for this year’s event, and since we’ll be starting on the opening morning (rather than after lunch) we are able to provide a fuller programme than usual, with 11 plenary talks and 20 parallel sessions. A summary of the content of the IWMW 2012 event is given below. The theme for this year’s event is “Embedding Innovation” . The event will provide an opportunity for those with responsibilities for providing institutional Web services to hear about and discuss ways in which news ways of working are being embedded to reflect technological developments and the changing funding and political environment. I am particularly pleased that this year’s event sees the first plenary talk by a Vice-Chancellor. Professor Ferdinand von Prondzynski, the Principal and Vice-Chancellor at Robert Gordon University who, in addition to being a regular blogger and Twitter user, is also featured in Wikipedia. Professor von Prondzynski will contribute to the event’s theme in asking the question “Going Online – Do Universities really Understand the Internet?“. Having come across Professor von Prondzynski’s blog post on Institutional tweets in January 2011 which began “Do universities that maintain Twitter pages know what they are doing, or why they are doing it?” I am particularly looking forward to this talk which will, perhaps, invite delegates to rethink their approaches to use of online services – after all, if we are looking to embed innovation we should probably rethink the approaches we have traditionally taken in the provision of our services. Earlier this year in a post on “Learning, unlearning and relearning” Steve Wheeler, Associate Professor of Learning Technology in the Faculty of Health, Education and Society at Plymouth University, made this point when he suggested that “there are times when unlearning just has to be done“. The need to rethink established approaches to the development of Web sites will be continued in EA Draffan’s talk on “Beyond WCAG: Experiences in Implementing BS 8878“. In the talk she will suggest that a resource-based standard such as WCAG may need to be used within the context of a process-based standards and, within the UK, we are now in a position to make use of the BS 8878 Web Accessibility Code of Practice. But are universities, after over ten years of suggesting that conformance to WCAG would bring out universal accessibility, ready to acknowledge that, beyond the simple provision of informational resources, universal accessibility – whilst a laudable goal – may not be achievable? The final plenary talk on the theme of “Embedding Innovation” will address ways in which institutions should be preparing for the Mobile Web. In a talk entitled “Do I Need an App for That?” Rob Borley will point out that although last year saw the 15 billionth download from the Apple app store and there are now over 500,000 different apps available to consumers, in developing a mobile strategy there is still a legitimate need to ask: “Do I need an app for that?“. The second theme for the plenary talks at IWMW 2012 is “Data: the New Content“. The talks in this session will highlight the opportunities provided for those involved in providing institutional Web services in moving beyond the management of content (often text, images and multimedia resources) into the management of and access to data. This session will provide an opportunity to hear from open data developments beyond our sector, with Sally Kerr, corporate Project Manager at the City of Edinburgh Council, describing “Open Data Development in the City of Edinburgh Council“. But once you have open data, what can your (and other) developers do with it? In a talk entitled “Data Visualisation: A Taster” Tony Hirst and Martin Hawksey will illustrate how open data can be gathered, processed and visualised – and they hope that this taster presentation will encourage participants to sign up for their 90 minute “Data Visualisation Kitchen” workshop session (although I should add that participants will need to sign up for the parallel sessions in advance!). We will not, however, focus only on the interests of policy makers and developers. In a talk entitled “Design Work for Key Information Sets” Stuart Church will outline the user-centred design (UCD) process that was used to design the Key Information Sets (KIS) and discusses some of the design challenges that were faced. In addition, he will consider some of the design approaches that can be used to make online ‘infographics’ more effective. For those who are unfamiliar with KIS, are part of a HEFCE initiative to provide comparable sets of standardised information about undergraduate courses. From September 2012, universities and colleges will be expected to publish these information sets on their web sites. In a time of cuts, those who work in institutional Web teams should welcome the new opportunities which will be highlighted in the two strands summarised above. But in addition there will be a continued requirement to manage and develop existing institutional Web services. The third strand on “Institutional case Studies” provides an opportunity to hear from practitioners on the approaches they are taking to their mainstream work activities. In this session we will hear from Dawn Ellis who will provide answers to the question “What Do You Really Want?“, Keith Doyle and Paddy Callaghan who will address the challenges in having to “Serve Two Masters: Creating Large-Scale Responsive Websites“, Helen Sargan on “The Good, the Bad and the Ugly: Two Years of Running a Content Management Service” and Stephen Emmott who will give the final plenary talk on “Measuring Impact“. Although the plenary talks aim to provide shared experiences for participants, with the opportunity to hear about changes, developments and working practices, the importance of active participation at the event has always been emphasised. This year there will are currently twenty parallel sessions, which last for 90 minutes, which aim to provide opportunities for active participation. Topics to be covered in these parallel sessions include addressing the legal implications of cookie legislation, development of mobile services, user centred design techniques, agile development, developing large-scale responsive web site, evaluation of conferencing tools, mobilising WordPress, data visualisation techniques, identifying and responding to emerging technologies, addressing digital literacy challenges and more. More detailed information about the parallel sessions is available. It should be noted that IWMW 2012 participants will be able to three sessions. In addition, we have kept two sessions free to enable anyone who wishes to organise a session at the last minute can do so. The online booking form is now available. The cost is £350 per person with two night’s ensuite accommodation or £300 per person with no accommodation. This will include the meals listed on the booking form and refreshments. In addition to the main event meal on Monday, on Tuesday there will be a wine reception which will be held at Our Dynamic Earth. 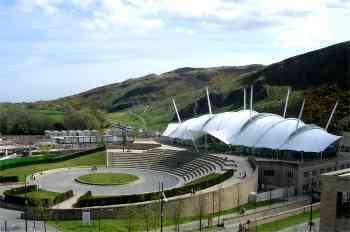 As described in Wikipedia “Our Dynamic Earth is a science centre in Edinburgh, Scotland. It is a prominent visitors attraction in the city [which] sits in the Holyrood area, beside the Scottish Parliament building and at the foot of Arthur’s Seat“. When you book for the event you will be able to select your parallel sessions. Please note that since places on the parallel sessions are provided on a first-come first served basis, we advise early booking if you wish to guarantee a place on a preferred session. I am getting errors accessing the replies to this page on my mobile. Do I need an app for that? By “this page” do you mean this blog post or the IWMW 2012 booking page which the blog links to?